My undersea adventures continue. I’m looking for companions for Ysabel when she’s underwater with the mermaids in book three of Ysabel the Summoner. 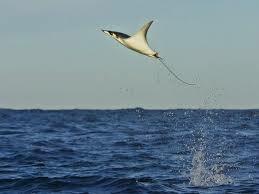 First up, giant manta rays! 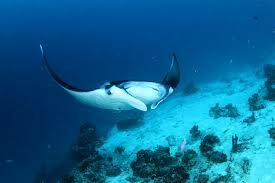 These fabulous beasts swim gracefully through temperate ocean waters all over the world. 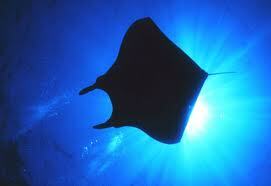 They can grow up to 30 ft. wide and can weigh almost 3,000 lbs. They feed on plankton, opening their long mouths wide (please don’t eat me) to funnel in plankton-rich seawater. Gill rakers, thin cartilage filaments in their mouths filter plankton from seawater. They can leap completely out of the water. No one knows why; maybe as play, or a courtship display (big and fit!) or to communicate with their kind; the splash of their reentry can be heard for miles. 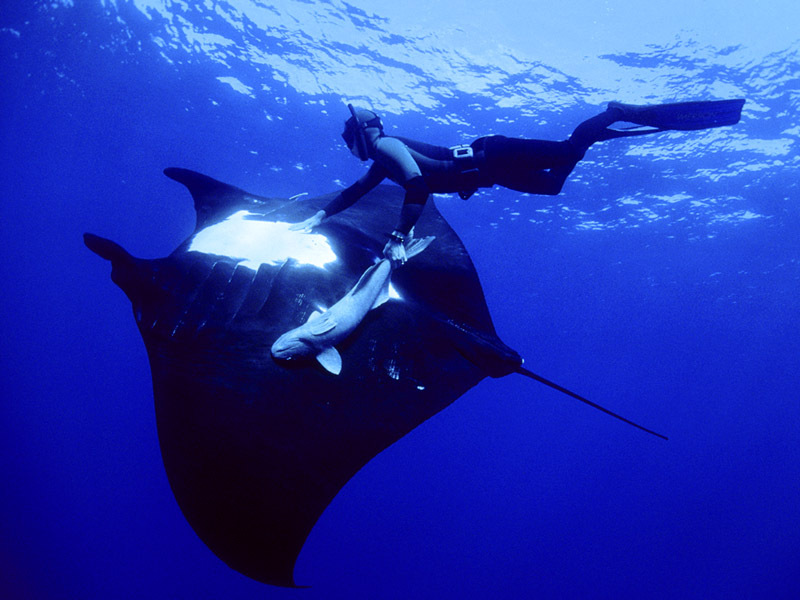 Swimming with mantas is popular with divers. But no touching, as apparently this disturbs the mucus that coats their skin and protects them against bacteria and microorganisms. They’re vulnerable to becoming entangled in fishing lines and nets, and are hunted for their gill rakers as an ingredient in Chinese medicine. These huge, gentle fish are unable to live in captivity. 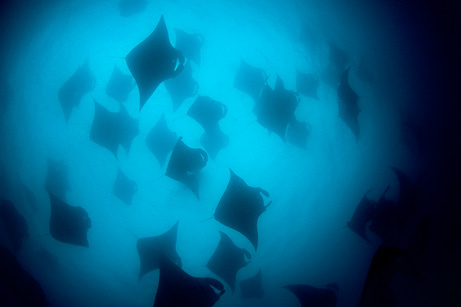 The biggest aquariums do not have sufficiently large pools. 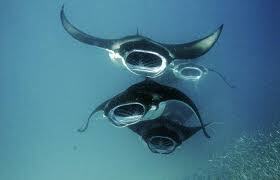 If captured, mantas refuse to eat and die within days. They seem so sensitive; Ysabel may have to admire them from afar.